I always admired the STEAMPUNK project, so I did a theme, it wasn't easy, but it was fun doing it. So here it is, my latest Windowblinds Premium Steampunk Theme. 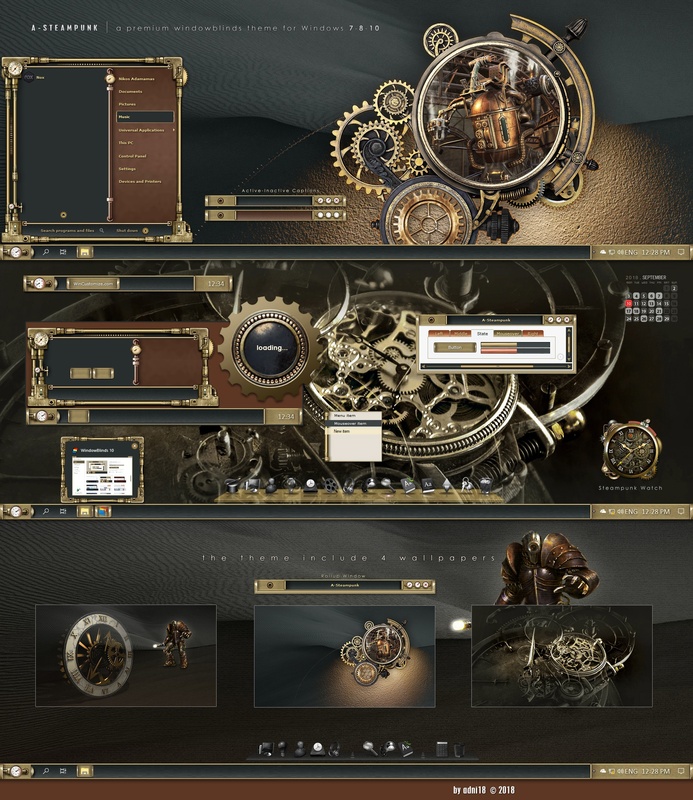 The theme includes: The Windowblinds skin, 4 Wallpapers and a Steampunk Watch. You can use this theme with Windows Vista, 7, 8 and 10. Wow! That is excellent work Nikos! Thank you adni18!! This is fantastic work. WOWWWWWWWWW..................AMAZING work on this one Nikos. LOVE.......LOVE......LOVE! May I ask, What is the lower case font on the preview? It is the Century Gothic font. 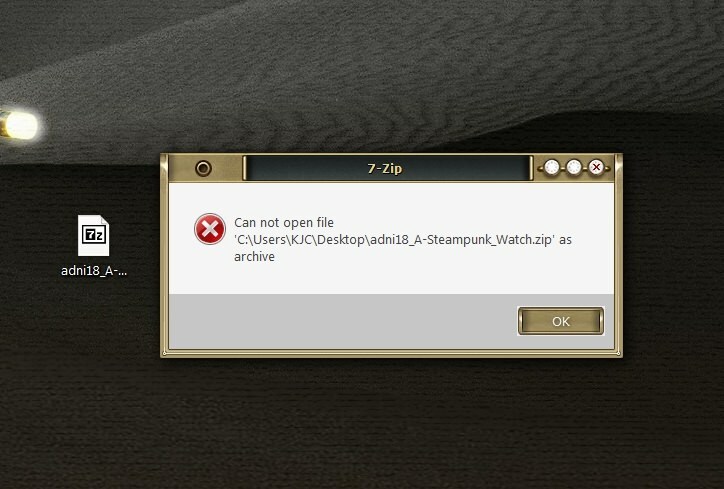 Your watch zip file is corrupt. Tried downloading and opening 3 times. Yes, maybe sometime, I will have it in mind, thanks! Strange thing, some people have this problem others don't, including me. Please try again and let me know, thanks!